In this example, we see how the Dragon Front theme music starts as traditional underscore (that is, a non-diegetic score), but then moves into the VR space and becomes a diegetic score – one that is understood to be present in the game world. And that brings us to the second of the three core debates at the heart of music in VR: should music in VR be diegetic or non-diegetic? The obvious solution is to make all of the music in the game diegetic – somehow, in this VR world, all music comes from in-game sources that players can see in the environment around them. 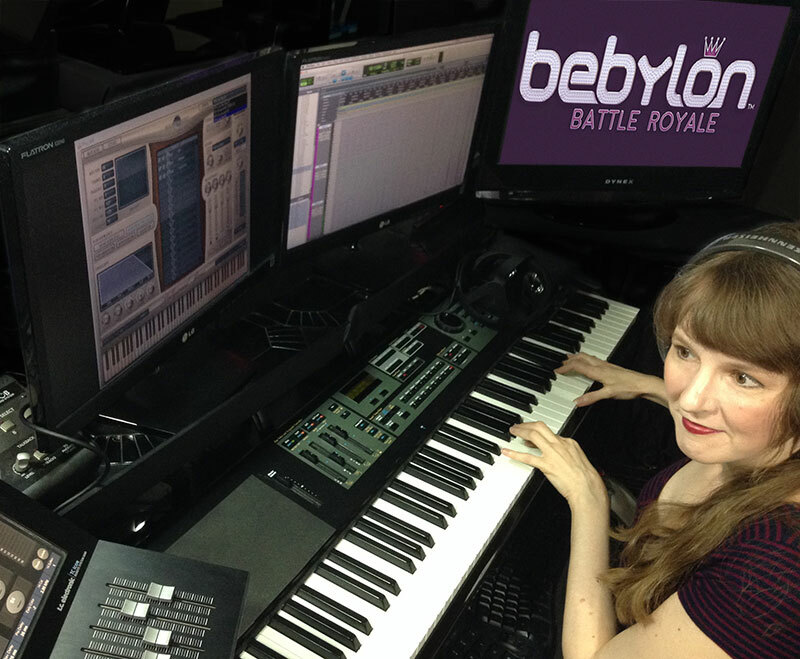 Here’s an example from one of my VR projects – Bebylon: Battle Royale, from developers Kite & Lightning. Keep it both inside and outside the VR world. So let's start with the first strategy – subtle and gradual. We've already discussed this technique in the first article in this series, when we took a look at the ambient music for Scraper, a first-person VR shooter set inside colossal skyscrapers in a futuristic city. Exploring the massive buildings in the Scraper fictional universe requires a musical soundtrack to set the tone, but introducing it so that it feels natural in VR is a challenge. While this technique works well for the ambient music, it wasn’t an option for combat. Battles in Scraper are pretty intense – the music begins with a bang and keeps on whaling away until the room is cleared of enemies. At the beginning of the project, we’d decided on a stereo music mix rather than spatialization – considering how important audio cues are to expert first-person-shooter players, we didn’t want a spatialized score to introduce any confusion. My job at that point was to figure out a way to delineate the stereo music mix from the VR world so that the player wouldn’t wonder where the music was coming from. From here, I started thinking about proximity effect – it’s a term relating to microphone recording. You’ll notice proximity effect when someone speaks into a mike while leaning very close to it. The voice starts sounding really bassy and warm in tone, and the mike picks up a lot of the dry source signal, with less of the room acoustics coming through. When you listen with headphones to a recording with lots of proximity effect, it tends to feel like it’s inside your head. I thought – great! If the music is in our heads, we’re not going to be looking around, wondering where it’s coming from. I also recorded the music of Fail Factory with dry acoustics and a warm, bassy mix – this effect is especially prevalent during the Fail Factory tutorial. So now let’s look at another approach, which I’ve called ‘Inside and Outside.’ If music is 3D – if it’s spatialized – we’re more likely to think it actually exists inside the fictional world. If music is 2D – if it’s a direct stereo mix – we’ll be more likely to accept it as non-diegetic, as outside the experience. We've contemplated what role our music should play in the VR experience - whether it should be considered a part of the fictional world or an outside commentary that shapes the player's emotional experience. Both roles are valid, but the choice between them is especially meaningful within the context of VR. The next article will focus on the third of the three questions: whether music in VR should enhance player comfort or player performance. Thanks for reading, and please feel free to leave your comments in the space below!